I don’t have time to do anything else! I don’t have time to craft, or to do things for me. I have too much homework to do. These are the words of my daughter. She has just turned 15. She is in Year 11 doing NCEA level 1. She is intelligent. She already has a couple of excellences under her belt. But she is stressed. She is anxious. This post is a few days late for the March #EdBlogNZ challenge. The challenge is to write about your dream school. I had done a bit of thinking and thought it was going to be about all the amazing things I would like to see in a school, but as a parent, watching my children go through school, I’m seeing their stress levels increase. It’s not good. So in my dream school, right at this point in time, while I would like all sorts of technology and opportunities for the students within it, I would first and foremost like to see a school that truly values the health and wellbeing of their students. I’m not saying these schools are not out there, or even that any school doesn’t value this, but sometimes it appears school work, teacher expectations or qualifications take precedent. Both of my eldest children are feeling exceptional pressure from school at the moment. Miss 15, as described above, and Mr 10 who is in Year 7. Miss 15 has actually recently blogged about Anxiety in the classroom. It’s worth a read. Yes, education is important, but as a parent I have to put the wellbeing of my children first – and that means before school, before qualifications, and yes, even before teacher expectations. I don’t have any amazing ideas for how to reduce anxiety of students at school, but I do believe that raising awareness about this issue is important. I do believe that some educators (myself included) just have not really considered it, or if we have, we still have to get through all this work with our classes before the end of the year, and therefore do not know how to manage it. IEP – Where is the individual? This post is a reflection on the IEP (individual education plan) meeting I attended for my son recently. I don’t mean any of this as a criticism of the school, but simply as observations and a reflection from my perspective as a parent (and yes, as an educator). The first thing was (and to be honest, I thought of this before the meeting), where was my son’s invitation to attend the meeting? Surely, if we’re looking at his education plan then he should be involved – especially by Year 7. He may or may not have much to contribute, but he should be given the opportunity. I did actually ask him if he would like to attend, but as he was already home, sick, he decided he’d rather stay in the warm house! If he had already been at school, I might have asked for him to attend. I really think it’s important that the child attend these meetings to bring the focus back to learning rather than what will the teachers do all the time. The child then also knows what is going on and was a part of the decision making. As it turned out it was more about “this is what we want for him” and “this is what we (the school) will do to make it happen”. The second thing was that as the parent, I felt that I should have been invited to speak first. This was possibly just an oversight, but I do believe the parent (if not the child) should be invited to speak first in this type of meeting. The reason I feel this way is that otherwise the school staff drive the conversation and concerns of the family get relegated to the end rather than brought out at the start. Thirdly, education jargon needs to go. Yes you’re in a room full of educators, but most parents are not. Not everyone understands what a stanine is or what “5b” means in relation to asTTle. I did, but they didn’t know I was in education until I pointed it out later on. Interestingly, my son had his goal-setting interview the day before the IEP meeting. I would have thought, therefore, that his goals would have been a part of his IEP. But this was not the case. It seemed to me to be more focused on what the teachers would do. Yes, it was to help raise his achievement in various aspects and support him, but there was no onus on him to do anything. Finally, don’t rush. An IEP meeting is not one that you should rush through. These are important decisions being made about the future of a child. As a teacher, it might not be the only child you need to consider, but for the parent in the room, right then, their child is the most important person on the planet. Rushing can make it feel like you don’t want to be there or that the meeting is just a bit more of a bother for you. I’ve been considering writing a post like this for some time. It’s very personal to me. It’s not specifically about education, but I believe it’s relevant for us all. I’m living with depression. Not mine, but it’s in my house and has been affecting my life for about the past 2 years. After noticing that my wife was struggling to get things done, and was struggling to cope around people, retreating into herself, I wondered if she had depression. A trip to the doctor. Diagnosis: Depression. Medication prescribed. Assumption correct. All good right? Uh… No. This is not the first time for her. She had depression as a teenager (before I knew her), but I had seen her go through both ante- and post-natal depression, including at one point at the same time! So I knew a little bit about the signs, but had never seen anything like this. And there seemed to be nothing I could do about it. Why? Because I didn’t understand what was going on for her. I didn’t understand that this wasn’t a feeling for her. She didn’t just feel sad or down. It wasn’t something she could control. I couldn’t just get her gifts or do things for her, or to help her, to make her feel better about life. She would smile and appreciate what I was doing but she was still depressed and was still spiralling down further into the pit of depression. She tried to explain to me what she was going through. I didn’t understand. She explained in other ways and while I kind of started to understand cognitively, I have not been through it myself, I don’t really understand so cannot fully empathise with her. I learnt to give her space. That’s what she always wanted. Space from me, space from the kids, space from the whole world. She was happiest on her own, reading on her iPad or phone. But she wasn’t happy. She was escaping. And it wasn’t people she was escaping, although that’s how it appeared. She was escaping herself and what was going on in her head. It took me a long time to realise that. I often felt neglected. Rejected at times. From my perspective she didn’t want me around. She didn’t want the kids around. Our teenage daughter felt the same. She knew Mum was going through depression but she couldn’t help her and often felt pushed away. This has created a stronger bond between me and my daughter while I’ve tried to support her (and our other kids) through it. A positive out of quite a negative experience. The younger kids don’t really know what’s going on but there has at times had to be some careful stepping in from me to safeguard them. Not from anything dangerous, but also from the feeling of being pushed away. My wife loves us all incredibly. There has never been any doubt. But sometimes it was hard to see. She went to huge efforts at times to show her love to us, which unfortunately cost her at times as she was then so exhausted from the effort that she ended up very low for the next few days. She tried to hide what she was going through and just keep living her life as best she could but when she did, she dropped lower and lower. In the meantime, my teenage daughter has also been diagnosed with mild depression and was not in a good state for a while. I now have two people to support who have been diagnosed with depression. Two people who needed to feel loved, safe and secure. It can be frightening for all involved. There are often more questions than answers. What can I do? How can I help? Why are they so low? Why can’t they just switch it off? Why are they trying to hide it from me when I just want to help and support them? Why can’t I help them? It’s heartbreaking to watch loved ones suffer this way and not be able to step in to help or fix it. The weight of the world is on those suffering with depression, but in many ways it’s also on those loved ones trying to support them. My wife is currently much stronger than she has been in the past 2 years. Through lots of talking, discussion and tears from both her and I, we realised, only about 4-5 months ago, that one thing that wasn’t helping her was the constant feeling of not accomplishing anything during the day. She felt like she was doing so much but she could see no results from it. Nothing was quite getting completed. The result of our discussions? A daily tasks list and a reward scheme. It seemed a bit odd to be setting this up for an adult, but what this has meant is that she has a clear plan of what needs to be accomplished every day and she doesn’t jump from one thing to the next and not finish anything. Her reward? Time out on her own. This is the thing she needs most to then be able to interact with people again, including her own family. She gets this anyway, but she appreciates being able to bank up her rewards and take a full day out if/when she needs it. Since setting this up, she has on the whole been doing much better. She’s happier with life overall and spending more time with and around people. Her medication has been changed and the dosage reduced. I’m not trying to say that this is a magic bullet. We have other support mechanisms in place, but having this structure has contributed to helping my wife over the past few months and is now also helping my daughter (she’s trialling it). My wife started studying again last year and is achieving well. She still has her ups and downs and we still have difficulties that we work through as best we can when they arise. It’s been a long road and continues to be one, but there seems to be a way up and out of this pit for us. 1 in every 6 New Zealanders will experience serious depression at some stage in their life. Talk to a friend, family member for support. As part of the #EdBlogNZ week 2 challenges, Alex Le Long and Nathaniel Louwrens have paired up to collaborate on this blog post. The challenge is to collaborate with another blogger to discuss an important issue in education. Post must be shared on both blogs, tagged with #edblognz on Twitter and include at least one media tool in the post (video, photo, embed something else). So our important issue focuses on something that we have been pushing and driving for the past few months – Professional blogging. Well, blogging may not necessarily be the issue, perhaps more so, it is reflecting on our practice. Of course, we like to encourage teachers to do this through blogs. And since we co-presented during this week at #ulearn15 on Professional Blogging for Beginners, we thought we’d continue this theme. Why should we reflect on our practice through blogs? As Steve Wheeler puts it in his post, 3 things you should know about blogging, blogging is public. Yes, you can make them private, but then you don’t have the opportunity for others to think about and consider what’s going on for you and add their point of view. You also don’t give them the opportunity to question their own practice. Remember… it’s for our students! This statement above, attributed to Karen Melhuish-Spencer, appeared on Steve Mouldey’s blog, is challenging. We are doing it for our students. We want our students to succeed. If we don’t share what’s going on we can’t learn from each other. If you’re looking for other reasons to blog, other than to reflect, then check out this Padlet that #edblognz people contributed to recently: Why do you blog? Blogging gives us an opportunity also to gather evidence for the Practising Teacher Criteria (what was the Registered Teacher Criteria). You can use your blog to write posts relevant to your learning, practise, questions etc and tag/label them with the PTC number. They then become easy to find, use, and share as necessary. As we progress on our learning and teaching journey, no matter how long or how little we have been teaching, our practice continually evolves to best suit the students we have in front of us. By sharing our learning and developing understanding of this evolution in our practice, we’re then able to portray a sense of thoughtful reflection. By using our blogs as a way to show this development we can quickly identify the different aspects of our practice by using tags or labels. Building on our collaborative and sharing natures as teachers, we can learn more about the changes in education and the need to keep reflecting to enhance our own practices for our students. I’ve just read this blog post from Karyn Gray: Ma te tuakana te teina e totika. Ma te teina te tuakana e totika. It’s well worth a read, but I really wanted to share one key point from it. Karyn talks about some of her mentors and mentions that 3 of them are younger than her and some are less experienced, but this does not matter. Karyn is still able to learn from them and be challenged. This is mentoring. This is the mentor/mentee relationship. It’s also a reminder that both the mentor and the mentee can benefit from this relationship. In my wider work I often work with teachers/school leaders who have far more experience (and age) than I do. Sometimes I wonder how I can be helping/supporting/guiding them, and yes, nerves can be there sometimes! This post has reminded me that we ALL have something to offer. It’s also not about having all the answers but working together to work through the issue/focus they currently have. I mentioned in an earlier post that I want to question more. This includes in my general day-to-day work. I’ve still got a long way to go with it, however both as a facilitator and virtual mentor I see the need to ask good questions and even answer questions with a question to guide whoever I’m working with to find their own solutions. I was just thinking about how I seem to be hard-wired to try to find solutions. It’s a bit like what the marriage/relationship books say. When your wife comes to tell you a problem she doesn’t want you to fix it! Except… I think that often when teachers/school leaders are telling me a problem they are wanting me to come up with a solution. But is that my job? Am I there to solve their problems or perhaps to help them see things in a different light? While I’m not likely to come out with a, “this is the answer you’ve been looking for!”, I do suggest things that they could try or give examples of other schools or teachers that might help. But perhaps I need to be putting things back on them a little more? Should I be questioning their questions? Or maybe paraphrasing or rephrasing what they have told me so that they can hear a slightly different perspective? Somewhere I can work on this is at home. My children often come to me and my wife and tell them a problem they have. They often don’t ask for help or sometimes even try to find a solution to their problem. I will often try to guide them to find their own solutions (with varying degrees of success). I know that sometimes I just need someone to bounce ideas and thoughts off of. Perhaps we should be doing this more. Help guide those we work with, whether they be children, teenagers or adults, to find their own solutions instead of relying on others to always be there to help them out. What do you do when people come to you with their problems? This year I have joined the team of Developing Virtual Mentors (DVMs) as a part of Virtual Professional Learning and Development (VPLD). This is a reflection as a part of my learning during this new journey I am on. Coming into the virtual mentoring role for the first time this year is a little nerve-wracking for me. In some ways I feel like I don’t have enough experience to mentor someone else, yet at the same time I believe my nature, skills and the experiences I have had will help enable me to develop into an effective virtual mentor. My nature is generally quiet, reserved, introverted. This of course could be an advantage to a virtual mentor as I have often been perceived as a good listener and sounding board. I also (usually) think before I speak and so will take time to digest what has been said before responding. Of course this could also be an issue in a synchronous online space as those silences can be quite deafening sometimes and the desire to fill the void may come to the fore. I have a lot of experience in working online, running webinars and supporting people online, so my skills in this area could be quite valuable. The biggest barrier for me may actually be finding a quiet space. With mentees generally available after school hours, my children will be out and about the house during this time and can often make quite a noise! The other barrier of course is my confidence, but that will increase over time (and in fact has already increased during my first virtual mentoring meeting. While slightly nervous, I’m quite excited by this new role and am looking forward to the learning that will continue along the way. I’m writing this post on an Air New Zealand A320 heading up to Auckland for a hui (not sure why the aircraft type was important) and thinking some more about reflecting on my practice. One of the difficulties we can have when considering a class we’ve just taught is that we’re too much in the moment. We can be caught up in the good or bad things that happened and not really see the various places or things we could work on. Often it is useful to take a step back or get into your helicopter and soar above the class you have had. This might require a break of a few hours or even overnight. It could also require a look at some of the data collected whether it be anecdotal—what you noticed—or actual student achievement information. It might even occasionally mean sitting down with a colleague or other critical friend to talk about the situation and help clarify things in your own mind. Everyone is different and will find different ways of reflecting work better than others. Or even different ways work better at different times. It’s important though to get out of the zone and soar high above your class to get the full picture of what was going on. As educators we’re often told that we should reflect on our practice, and to be honest I believe we all naturally do this. There’s no possible way (at least from my experience) that you could teach a class without thinking back on it and what went well and what didn’t. But what happens with that quick “thought” reflection? I know that for myself, I’ve done a lot of thinking about classes or days that I have just had but I couldn’t tell you how often that those reflections led to a change in practice for me. To me that’s the key. Reflection should lead to a change or improvement in practice otherwise what’s the point in doing it except to either feel good or bad about yourself or what has just happened? I want to make my reflection more meaningful. I often end up writing blog posts as a part of my reflecting, but I haven’t written that many posts that have come about through reflect on a teaching or facilitation experience that I have just had. Most of them have come about through something I have read or viewed and have pondered over for a few days. To make my reflections more meaningful this year I want to reflect regularly on my practice and get it into writing – sometimes on my blog and sometimes just privately. I guess in this way I can also reflect on my reflections. It gives me a chance to go back and see what I’ve done, what I was thinking of doing about it and also how I’ve done since then, giving me another opportunity to reflect on my practice (remembering to also link any reflections to the registered teacher criteria). It’s time for me to do more reflecting on my practice and ensure it’s not just an in the moment thing but leads to something more. How do you reflect on your practice? How do you capture your reflections? Do you go back to them and see how you’ve done since? I didn’t want to write one of those cliche reflect on last year, set goals for this year blog posts but I think that’s what I’m doing. I wanted my focus to be on looking at what might be ahead this year. Reflecting on last year is an important part of that. Celebrating my 10th wedding anniversary. Completing and submitting my Master’s thesis. This was the end of two years work and boy was I glad to get this done! Accepting a new job with CORE Education. An exciting and challenging career move for me which also includes now working alongside some of the people I have looked up to in regards to e-learning and education. Getting a passing grade on my thesis. I found this out in the same week as being offered and accepting my new position. It was a good week! Having the opportunity to be involved with some great PLD through Virtual Professional Learning and Development, Ulearn, Connected Educator Month, and Twitter (including #edchatNZ). Graduating with Master of Education in E-Learning with Merit. 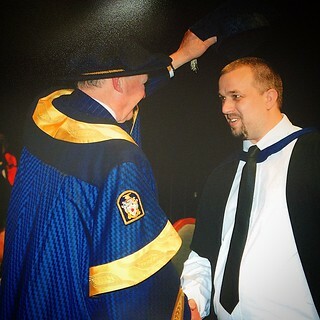 Graduation at Massey University – 28 November 2014. Getting the #edblogNZ hashtag up and running. It’s not hugely used yet, but it’s growing. The main reason I tried to get this going is that many blog posts were being shared on Twitter and disappearing quickly due to the busy-ness of the Twitter feed or #edchatNZ stream. Being voted onto the BLENNZ school Board of Trustees. This was unexpected, but as I have two children who are supported through BLENNZ I thought it would be a good opportunity to give back to this fantastic school! It was also exciting to celebrate my Dad’s 70th birthday, my sister-in-law’s wedding and my youngests 5th birthday (no more pre-schoolers for us!). Okay, so numbers 2, 4 and 6 are really all part of the same thing, but they were all separated by time and each one was a separate highlight for me. There have been three stand-out happenings in NZ education in 2014 from my perspective. None of them are necessarily new, but have been areas of growth. The first one is the increase in teacher-led/teacher-driven PD. This has come through a couple of avenues. Connected Educator Month certainly had an impact on this as we saw a huge amount of PD available for free during a single month. There appeared to be a huge growth in the number of teachers trying out twitter, webinars, online discussions, blogging, and more! The other BIG part of this was the continuation of the #edchatNZ Twitter chats as well as the #edcchatNZ conference that was fully run by teachers. I was disappointed not to be able to attend. The second thing I’ve noticed is the shift from looking at/implementing Modern Learning Environments to using Modern Learning Practices. This has come about a lot through many schools simply being unable to create large open plan spaces as they are limited to single-celled classrooms and/or prefabs. It also takes the emphasis off the space and the furniture and puts it back on the teacher and their practice. The final area of growth that I’ve seen is around Universal Design for Learning (UDL). Interest for this, I believe, grew through Katie Novak’s keynote at Ulearn. While it’s far from embedded, having such a well presented/facilitated keynote that demonstrated some of the principles of UDL has certainly raised awareness of it. Claire Amos in her recent post Reflections and Resolutions has decided to write a weekly Ed blog and has asked who wants to join her so I’ve decided to join in on this and write a #weeklyedpost. Along with this I’ve decided to set another blogging related goal. That is to comment on at least one blog post every week. The comment must also go on the blog and not on Twitter or elsewhere. So this is my first #weeklyedpost. I’ve noticed too that many people have decided not to have goals/resolutions for the New Year. Instead they’ve chosen one word that they will focus on/live/do for the year. So my #oneword2015 is QUESTION. I want to question more. This might be questioning people, ideas, concepts, theories etc. It might be physically questioning someone, or it might be questioning in my head. I already do this to some extent but I want to do it more, take it further, and seek out more information on certain things that I’m just not sure about or not happy with. I also want to grow my questioning skills with people, particularly with the adults I’m working with. 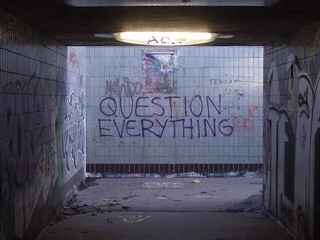 I want to learn to ask questions that help others to think and, wonder, ponder and perhaps question themselves and their own thoughts and beliefs. In regards to NZ education in 2015, I think we’re going to continue to see growth particularly in modern learning practices and UDL. I think these two things go together so well, as MLP allows for much great student-centered, personalised learning and UDL give opportunity for students to learn in ways that are most appropriate for them at the time. 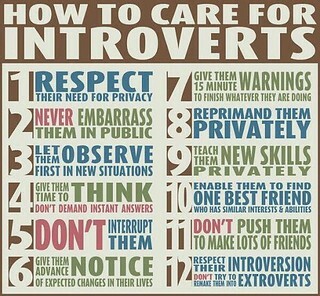 Over the past year or so I’ve also developed quite an interest in understand introverts more. I am one. Since I first read an interview of Susan Cain on the TED blog I’ve started to understand myself better and why I do what I do. I’ve also realised that we need to consider introverts in education much more than we do. Both students and teachers. Throughout the last few years there has definitely been an emphasis on collaboration and group work. While I think this is valuable it doesn’t suit all students all of the time (actually in my Masters research, most of the students I interviewed who liked to do group work also really liked to work on their own). I believe UDL could help with supporting the introverted student and I hope that we see more of an emphasis put on introverts throughout 2015. E-learning can help some introverts, even in group situations. I’m interested in exploring this much more and how introverted teachers like myself can manage in situations like open plan, team teaching, modern learning environments. So that’s it! I’m really looking forward to see what comes through this year! Have a great 2015 and keep sharing, reflecting and learning!